A land policy can be defined as a set of rules and guidelines that govern how a country’s administration will govern, manage and administer land in that country. 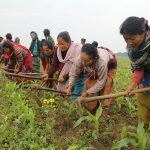 It should strengthen access to land, tenure security; it should especially ensure the land rights of poor and vulnerable communities; ensure sustainable land use; provide direction for fit-for purpose land administration services; and guide the prevention and resolution of land conflicts and disputes. Recognize the roles of local and community-based land administration structures alongside those of the state and how these can best collaborate. 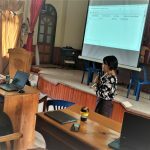 Land reform processes involve many diverse actors who, in most cases, bring conflicting perceptions into the discussions, making the process complex and lengthy. Non-state actors are non-sovereign entities that exercise significant economic, political or social power and influence at a national and international level. They play a catalytic role in land reform processes, ensuring that all experiences and perceptions are tabled in these processes. Often, vested interests create conflict and hinder the effectiveness of land reform processes, so a land sector non-state actors mechanism is needed to engage stakeholders at various levels and build key relations with decision makers and interest groups in order to understand their views and positively influence the reform process. GLTN developed the How to establish a non-state actor mechanism guide on how to effectively establish this mechanism and to inform decision-makers engaged in the land sector, including national governments, bilateral and multilateral implementing agencies, about value-addition of land sector non-state actors’ mechanisms in land reform processes. Developing new land policies can be a long and difficult process. It is even more so if the policies are to help correct the disadvantages that poor people typically suffer in many areas of land policy. Using examples from Africa and Asia. 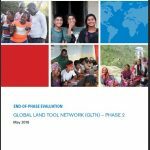 GLTN’s guide on pro-poor land policy development outlines a participatory process that can be adapted as appropriate to the situation in each country and the specific aspect of land policy that needs to be addressed. It involves a wide range of stakeholders from all aspects of land policy, including civil society and the poor themselves. Including all these groups is vital if the resulting policies are to be politically acceptable, technically feasible, pro-poor and enforceable. 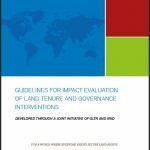 This guide is intended for ministers and senior policymakers responsible for land issues, donors, professionals, consultants and non-government organizations involved in developing land policies. Non-state actors (NSAs) are non-sovereign entities that exercise significant economic, political or social power and influence at a national, and in some cases, international level. 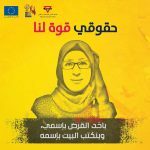 There is no consensus on the members of this category and some definitions include trade unions, community organizations, religious institutions, ethnic groupings and universities. Land Sector Non-State Actors (LSNSA) include civil society organizations working with the landless, squatters and small landowners, professional associations, community based organizations and the private sector. A Land Sector Non-State Actors (LSNSA) mechanism is a means by which a group of NSAs coordinates their interventions and support to enhance their impact in the land sector, particularly during land reform processes. 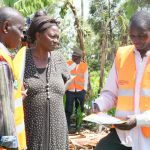 GLTN’s How to Establish an Effective Land Sector Mechanism guide outlines the factors that influence the set up and effective operation of the mechanism, particularly during a land reform process. The guide is not intended to be a blueprint for a non-state actor mechanism, but it does provide viable ways to establish such a mechanism and to inform decision-makers engaged in the land sector, including national governments, bilateral and multilateral implementing agencies, about LSNSAs and their value-adding in land reform processes. For the purpose of the guide, non-state actors (NSA) include civil society organizations, the private sector and professional associations.